I am really sad to see this series end. It's a bittersweet feeling, for sure. And just like the other 8 books in the Beyond series, this one is action packed! I am happy that we have a spin-off series to look forward to, though. Bring it on! What I love about this series, is that the women do not damsel. They're strong, self assured, and fight and play just as hard as the men. Also, the men are not emasculated by having such strong women around. They revel in it. And that has been what has kept me coming back for more with this series. 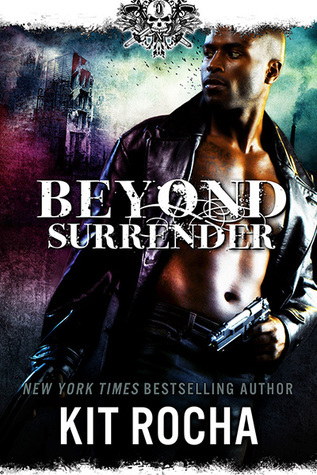 Beyond Surrender is not a standalone book, at all. Do not start here! You really do need to start with Beyond Shame. Though each book features a different couple, the main story arc runs trough the whole series and it needs to be read sequentially. Now to the good stuff. Nessa and Ryder. They've been dancing around each other for a bit, now and well, their time has finally come. And it is delicious! Nessa has been pretty much untouchable for the whole series. She's known Dallas her whole life and she is like a little sister to him. He protects her fiercely. Nessa learned the art of making whiskey from her grandfather and she keeps, not only Sector Four in liquor, but pretty much all the Sectors. She's the best there is. And Ryder, well, he was raised to be a warrior, to lead a revolution. And he's not had time for much else. He's been running Sector Five and he's teamed up with Dallas O'Kane to take on Eden. Ryder is very focused. Very disciplined. Very passionate. And all those qualities come into play with Nessa, as well as the war with Eden. Ryder and Nessa are so so hot together. Another thing I love about this series is the heat. Wowza. They also compliment each other. Nessa is softer, she isn't a fighter. And Ryder, needs that contrast to his own life. They both go after what they want, though, and the result is Kindle melting. And while neither of them want to make promises in the middle of a war with no certain outcome, they also cannot deny their connection. The rest of the story arc that began in Beyond Shame is finishing here. Things have been heating up between Eden and the Sectors for the past few books and one way or another, it will resolve. Eden has the tech and so much power. Their problem, though, is that they rely too much on their arrogance and their tech and forget about just how hard people will fight for their survival. The Sectors might be full of rag-tag people, but they are not weak. And they know sacrifice. They're not going to go down easily. And the one thing Eden didn't count on was the Sectors uniting. They are fierce! I was at the edge of my seat for the last half of the book, especially. I can't lie to you, it feels brutal and uncertain. And I don't recall any of the other books reducing me to tears, but Beyond Surrender sure did. War is savage and the losses cut deep. One thing I can pretty much guarantee you -- if you're a fan of this series, you're going to LOVE Beyond Surrender. And you will cheer, and rage, and cry, and above all, hope. 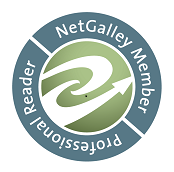 ARC of Beyond Surrender was generously provided, by the authors, in exchange for an honest review.